Alaska Chess Directory. If your club is not listed or not up to date please contact us using the link under site index. CHUGIAK. EAGLE RIVER CHESS CLUB. Regular. 5-9 PM MONDAYS. PIZZA MAN , 16433 ARTILLERY RD . Contact: JOHN W PETERS. (907) 688 - 5701. EAGLE RIVER. MIDNIGHT SUN SCHOLASTIC CC. Regular. MON 5-7PM. PIZZA MAN , 16433 ARTILLERY RD , EAGLE RIVER . Contact: KC JONES. (907) 696 - 1687. ELMENDORF AFB. ELMENDORF CHESS CLUB. Regular. Contact: C/O KARL CROFT. JUNEAU. AUKE BAY ELEMENTARY SCHL. Scholastic. 3:30-5:00 PM WEDNESDAYS. Contact: IAN JONES. (907) 723 - 3013. VALDEZ. HERMON HUTCHEONS ELEM SCHOOL. Scholastic. Contact: CHESS CLUB / MICHELLEC COLLEN. Fischer's games are so full of ideas, from opening adventures to the themes of composed endings, that they are in themselves the best introduction to the pleasures of the game. In the arduous path to chess mastery, enjoyment is the surest driving force. 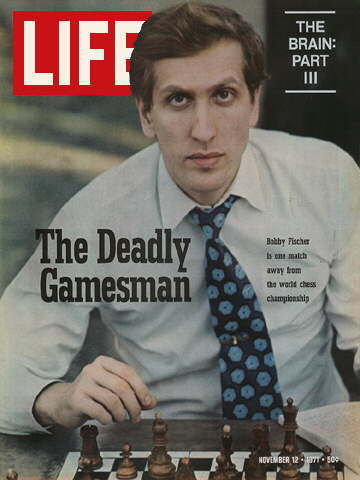 In the words of Bobby Fischer, "You can get good only if you love the game." 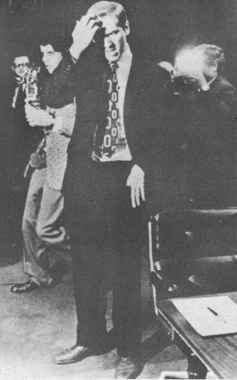 So much has been written about Fischer as a personality that the general public, including the chess fraternity, has been blinded to his chess. 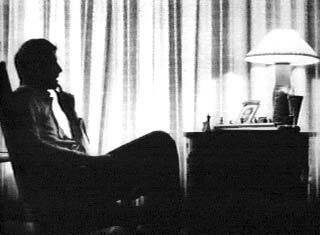 His games have been analyzed over and over in the chess journals. He has published three books himself, with varying degrees of help from other authors. Yet his winning methods, his unique contributions to the larger body of chess knowledge, and his rightful place in the history of the game have been overshadowed by all the publicity.